Cypress, CA, February 5, 2014 – EIZO Inc. announced the support of a new calibration technology within SpectraCal’s CalMAN software for calibrating and loading 3D LUTs to EIZO’s ColorEdge monitors. With CalMAN’s new support for the ColorEdge monitors, the latest version of their software can be used for both monitor calibration and 3D LUT (three-dimensional look up table) creation. The EIZO ColorEdge monitors with built-in colorimeters also act as a pattern generator for CalMAN. “Because EIZO supplies all the hardware, CalMAN 5.3 is literally all you need for an effective calibration solution,” explained SpectraCal’s Director of Marketing, Joshua Quain. “It’s the wave of the future,” added Derek Smith, SpectraCal Founder and Chief Technical Officer. EIZO ColorEdge Monitors are the first monitors for what CalMAN is calling “direct-load 3D LUTs” – wherein 3D LUT calibrations are written directly to the device, eliminating the need for intermediary software. This new capability within CalMAN for loading LUT calibrations directly to the connected monitor is the first of its kind. No other calibration software is yet able to communicate with connected devices in this way. SpectraCal is the worldwide leader in image fidelity solutions. SpectraCal provides everything needed for calibrating video displays in broadcast, production, post-production, commercial A/V, home theater, and industry. SpectraCal’s flagship product CalMAN is the mostly widely used video calibration software in the world. Please visit www.spectracal.com for more information. CalMAN with EIZO monitor support is now available from version 5.3 and moving forward. 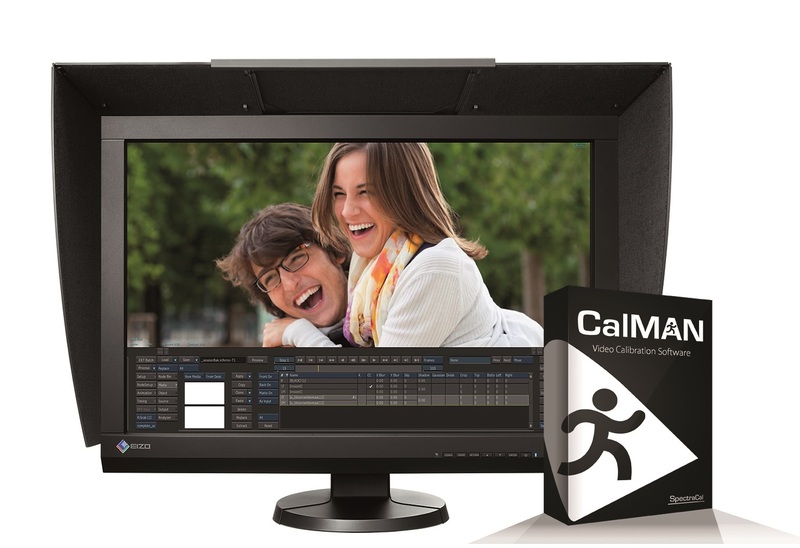 CalMAN on EIZO monitors will be on display for the first time at NAB 2014, April 7-10 in Las Vegas in the SpectraCal Booth # SL14516.